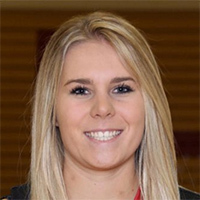 Huntley High School senior basketball player Ali Andrews topped 2,000 career points during a victory over Conant High School on December 8. For Andrews, who is committed to play collegiately at the University of Illinois, it’s another milestone in a historic high school career that already includes becoming the school’s all-time leading scorer as well as the record-holder for most points in one game (34). The HHS girls basketball team is off to a tremendous start to the season, with an undefeated record of 12-0 through December 27th. They continue to play through the holiday break at the Montini Christmas Tournament. Click here to track the team’s progress in the tournament. Read more about Andrews’ accomplishments in the Northwest Herald, Daily Herald, and the Elgin Courier-News.